ATLANTA, GA – What is needed to create a successful and sustainable mentorship program between women and girls of color? That will be the topic of discussion on Saturday, June 2 as a notable, global human resources executive and Chairman & President of TOFi™ Foundation, Inc., Tamla Oates-Forney, meets with some of Atlanta’s most influential women and girls during the second stop of the Tea with TOFi™ Trinity Tour. The event will take place at the African-American female-owned, Vault Art Gallery and kicks off with a small marketplace showcasing amazing businesses owned by females of color. Spearheaded by Oates-Forney, the tour developed out of her focus on the trinity for change --- community, conversation, and collaboration. This stop of the Tea with TOFi™ Trinity Tour will focus on outlining Oates-Forney’s new mentorship program, 50/50. Highlights of the tea will include a panel of young women from Atlanta who will lead a discussion on the importance of mentorship in their lives; 50/50 breakout sessions for program planning, and a showcase of successful businesses owned by women and girls of color. This is not the first mentorship-based program spearheaded by Oates-Forney. Just last year she launched the HERs OWNly Pitch Contest to help fund the entrepreneurial dreams of women and girls of color. Now she’s taking her efforts a step further by establishing a program to foster strong mentor/mentee relationships beyond entrepreneurship. 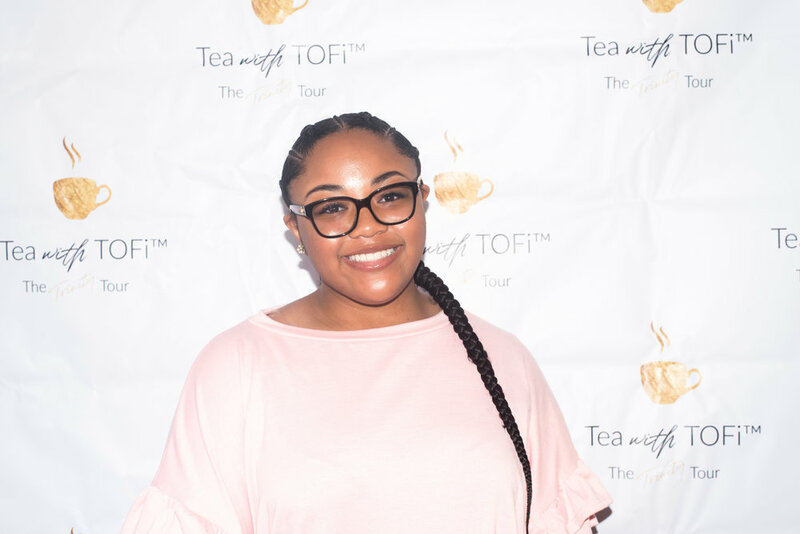 One of her very own mentees, and former pitch contest contestant, Milan Hill-Hines, will serve as a co-host for the event.